We just returned from a beautiful, but way too short, holiday on Ponza Island. My husband and I were desperate to take a break from being parents, so when my mother in Law offered to stay with the baby, we packed our bags pretty quickly! 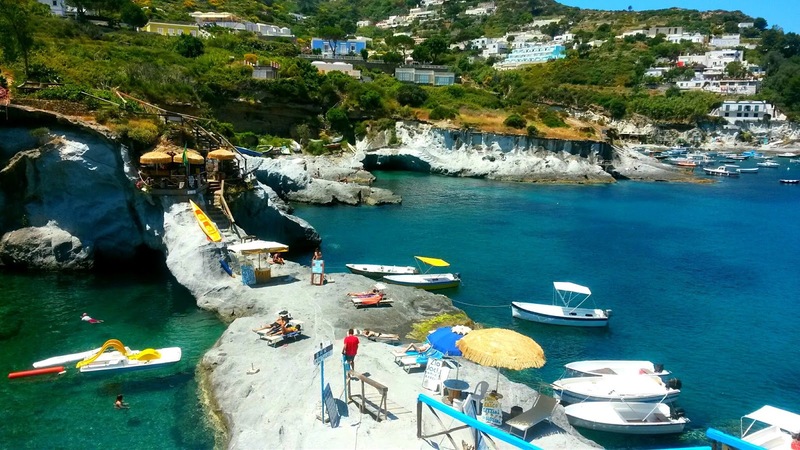 Ponza Island is located west of Terracina (between Rome & Naples). There are regular fast boats from Terracina, or for those that want to take their cars or scooters, it is possible to take the less expensive, slow ferry boat as well. Upon arriving on the island, you enter on the port side of the island. There is a small beachfront here along a boardwalk that is filled with tourist shops, restaurants and cafes. One street over from the boardwalk is Via Nuova that runs parallel to the boardwalk where you can find some beautiful boutique stores with speciality items that are made there on the island. To navigate around the island is best by scooter or by rental car. There are also frequent bus and taxi boat service to the other areas of the island, but we found these to be a little less exciting. We really wanted to be free from schedules so we rented a scooter for our time there. 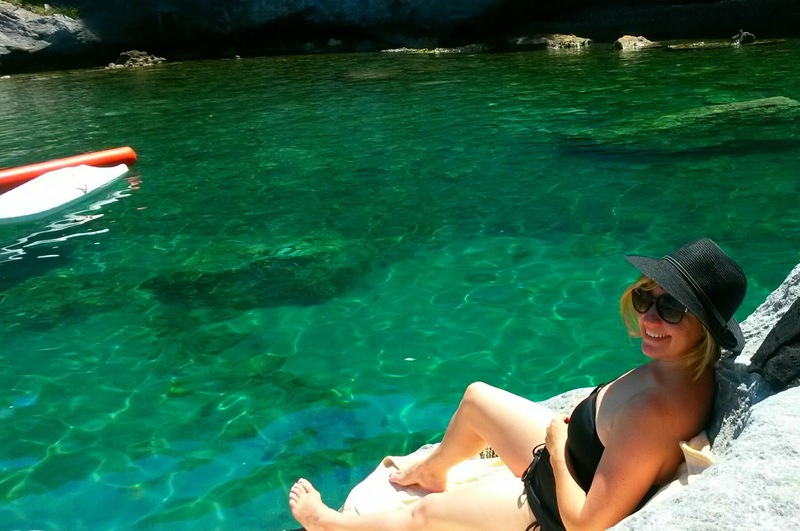 After getting settled in, we took a long ride around the island on the only major road that will take you to the nothern side of the island where there are several "Piscine Naturali", natural swimming pools. Our favorite was in Le Forna. You have a steep walk up & down the side of the cliff, along partial stairways, and partial rockways to arrive to the pools. The water and views are absolutely breathtaking once you do it though! We found the people, service and food to be wonderful. Every meal we had was delicious and fresh from that day. For anyone that enjoys small fishing villages.....Ponza is for you. For us, the getaway was extremely theraputic because the weather was absolutely perfect. Sunny & warm during the day with cool breezes in the evening. There is a true sense of tranquility here for anyone that is looking for a taste of R&R. We went in early June, but it's our understanding that from the mid- June to mid-August the island is jam-packed with Italian tourists. Hello my fellow readers! (if there are any left out there?!) We are back in Florence. I have been putting off writing on my blog due to lack of time....but we are here. Ciao! I am not sure where to begin with our story. As many of you know or can tell from the photos, we moved to the United States for two years. During that time we had our first precious baby named Sofia. She is almost 2 (what???? ), and the essence of pure joy. It's really that simple, but I will leave my un-ending love for her for another time! There is no doubt we had a nice experience in the United States. It was our first home as newlyweds and a new family. My family is there so obviously for me it was one of the most difficult decisions I made to move my family back to Italy. We are all still working through that though and thankful for technology to see each other. Horray for Skype, Whatsapp and Viber! What do we want in our daily life? How do we want to live day-to-day? What works for us? What makes us click as a family. The world is in chaos, No one anywhere in the world could say different, except for our yogi friends zenning out on a mountain in India (I'd really like to join them one day). But we aren't there, we are an American-Italian family, and see the best in both worlds. I've said in the past that I have a really bad habit of thinking that the grass is always greener, so I am working on it slowly. Getting out of my comfort zone, picking battles, and just letting things go has really helped. That, along with countless hours of yoga practice to clear my head space. So, having said that. We like America, we like Italy. The things we like about each are polar opposites though. America is convenient and organized. Italy is passionate and laid back. We'd love to have it all, but we can't. So, last summer when a job presented itself here in Florence to my husband, we started talking about if we wanted to give Italy a go. To keep it simple without getting into a rant about cultural differences, we decided that we should give it a try while our daughter was little. We know what it would take for us to live in the United States the way we want to, and most importantly the way we want to raise our daughter. We have no idea how our life would be as a family living in Italy, so we decided to come back to Florence. We are both incredibly fortunate to have jobs here, so that part of the move was seemless. We've been back for three months and day by day things are getting easier. 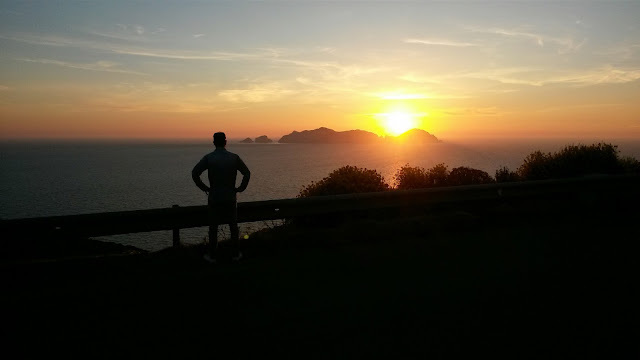 We are getting into a steady flow of our life here and really enjoying the beautiful things Italy has to offer : cheap yummy wine, day trips to the sea, eating really healthy food and being with our friends. Our social life here rocks (even with baby in tow! ), so for all of these things I am thankful. More to come, but in the meantime definitely keep up with me on Facebook. I post there more regularly. Linky is on the right tab! Ciao! 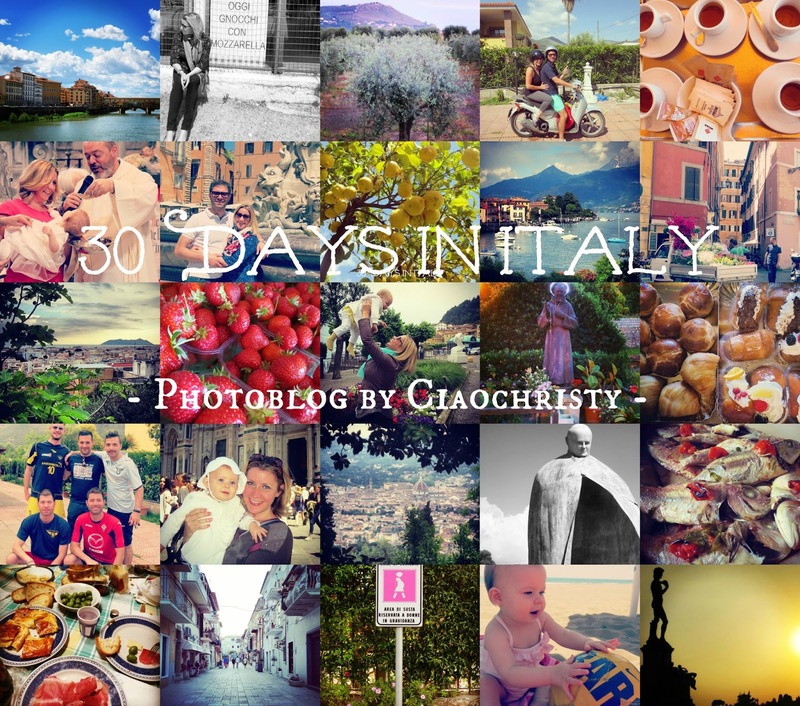 I wanted to say Grazie to all the people who followed our photo series "30 Days in Italy". We had the best time visiting family & friends, eating, drinking, traveling, and introducing our daughter to 1/2 of her native country. I will be posting more soon on our favorite places & experiences being back in Italy as a family. More to come, grazie tutti, ciao!! 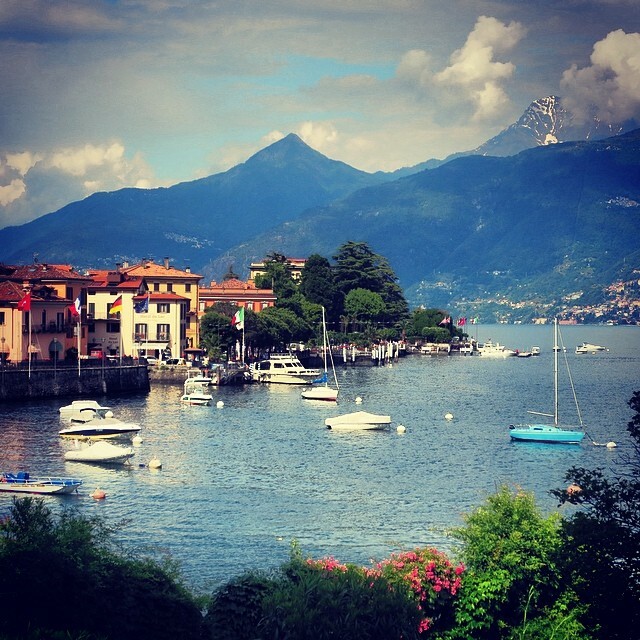 And here we are, ending our 30 Days in Italy photo blog - in the quaint town of Bellagio. Our month in Terracina has come to an end, but now we have traveled North to meet with my Mother and spent a week in Lake Como. Here is the view from our beautiful apartment in Menaggio. 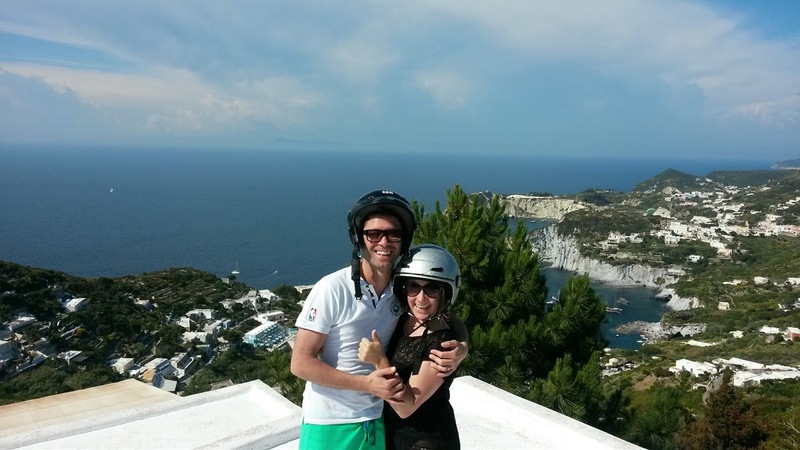 We had an incredible four weeks in Terracina visiting our family and closest friends! But all good things must come to an end. Ciao for now our beloved Terracina - see you for Christmas! More religious figures throughout Italy. This time a halo-lighted-Padre Pio protects San Felice. Day 26 || Did I mention football? I think there is a cardinal rule that you have to be cute to play football. I woke up to this huge bundle of strawberries sitting in the kitchen of my in-laws house. Fresh strawberries from a farm near their house. You seriously cannot taste anything sweeter! It's official. 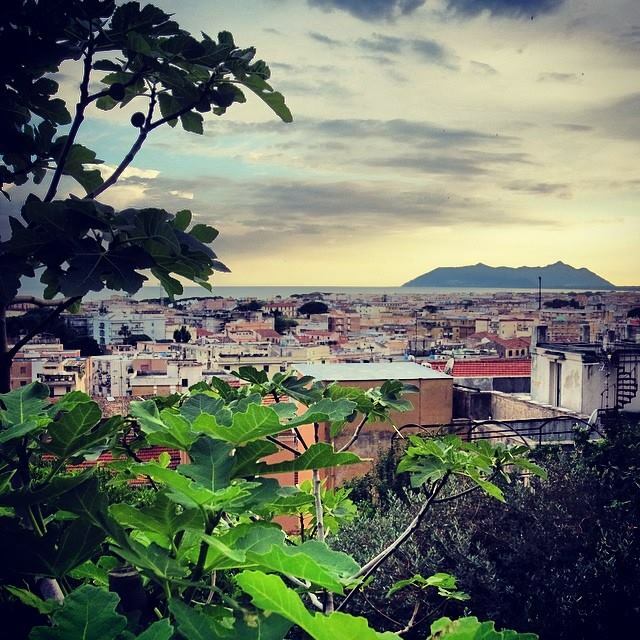 I have fallen in love with this charming little town close to Terracina. San Felice Circeo rests upon the side of the hill above the sea. 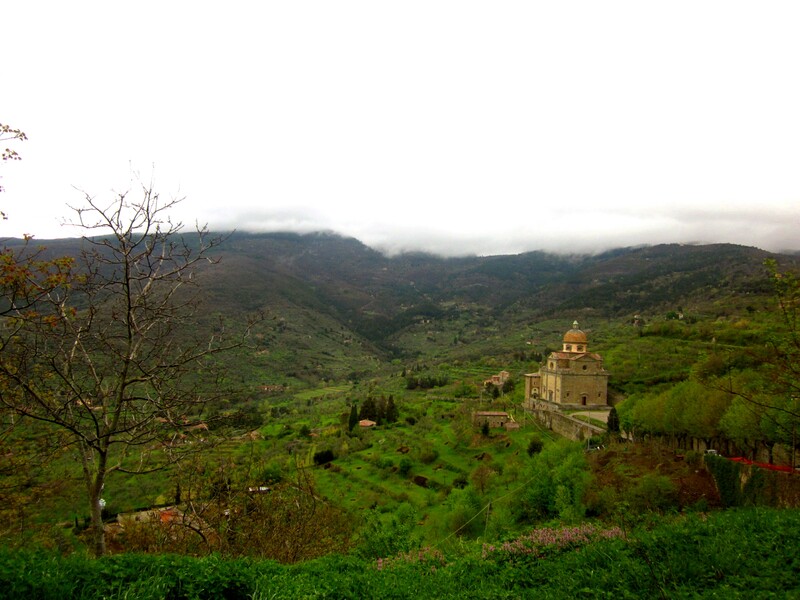 There are quaint little shops, newly renovated houses and views to die for! Before I thought football was the heart of the country, then I thought it was wine. Sofia had her Italian christening this weekend in Terracina at the beautiful Cathedral in the historic area of the city. The service was so special as the priest poured the holy water over her sweet head. Welcome to my blog! I am a southern American woman who moved to Florence, Italy and married a southern Italian man. 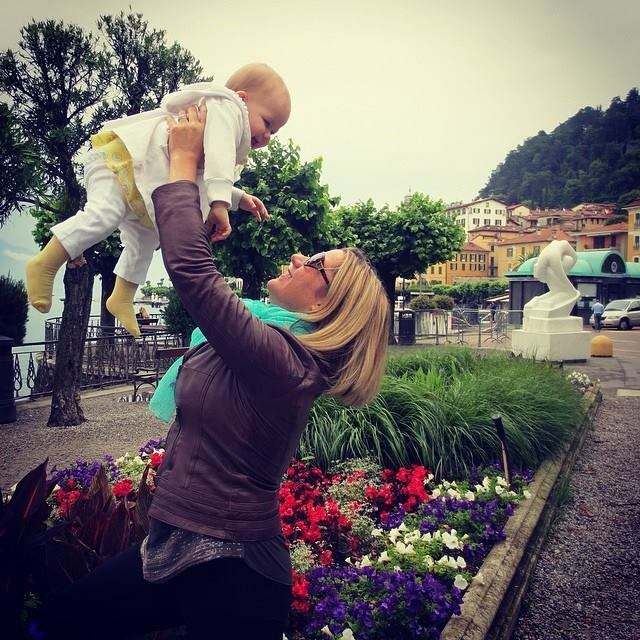 I write about all things Italian, photography, yoga, our life in the United States & Italy and most importantly...being a new mamma. Bumblepuppy | Four capricious creatures move from Florence, Italy to Portland, Oregon. Here their tale unfolds.